Located in Andheri, a suburb in Mumbai is the Vimala Dermatological Centre run by the Missionary Sisters of the Immaculate which provides care to leprosy and tuberculosis patients. 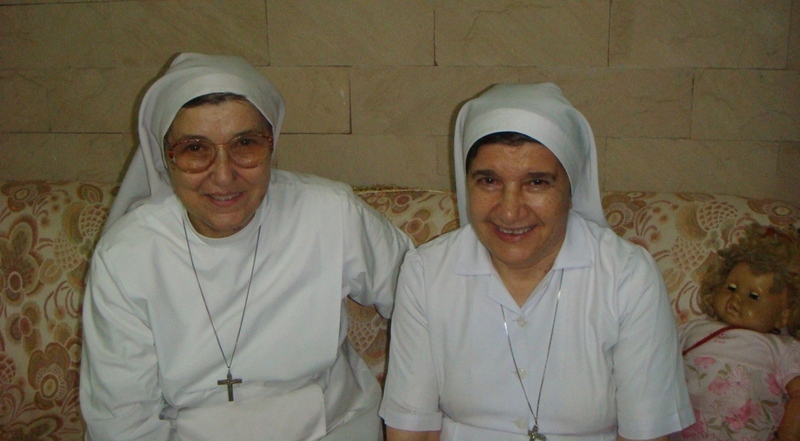 Both born in Italy, 69-year old Sr. Bertilla Capra and 64-year old Sr. Lucia Pala belong to the congregation of the Missionary Sisters of the Immaculate also known as PIME – Pontificio Instituto Missioni Estere (Pontifical Institute for Foreign Mission). After joining the convent, they completed their nursing courses in Italy and had a mission to serve the sick and the needy. Their compassion for fellow human beings brought them to India leaving their hometown Italy. “I had a desire to go to either India or Bangladesh to help leprosy patients because they are neglected and shunned away by society,” says Sr. Lucia. After expressing her desire, she was deputed to India in 1977 and Sr. Bertilla in 1970 to serve leprosy patients in India. The duo worked in Bimavaram at Eluru in Andhra Pradesh caring for leprosy and tuberculosis patients. Sr. Bertilla came to Mumbai in 1981 and Sr. Lucia in 1985 to join the Vimala Dermatological Centre. Their dedication towards their mission even led them to learn languages such as Telugu, Hindi and Marathi to help them to communicate better. “In Italy, we never saw leprosy. In India, leprosy is still a stigma. Nobody is ready to help people affected with leprosy. It was difficult initially as the patients would smell and had worms all over their bodies as they lost sensation,” says Sr. Bertilla. “But it was our desire to serve these people and the dignity of the human being was much more that their dirtiness,” adds Sr. Lucia. Sr. Bertilla and Sr. Lucia have completed 27 and 23 years respectively at Vimala Dermatological Centre. The centre was established in 1976 and has three wards for men, women and for the children of leprosy patients. The centre aims to detect all existing cases of leprosy and tuberculosis and to treat these ailments. The centre also offers hospitalisation facilities and surgical treatments as well. “Our main endeavour is to spread awareness and educate people about leprosy. We conduct talks and seminars on leprosy care,” says Sr. Bertilla, superintendent of Vimala Dermatological Centre. To begin with the sisters clarify the myths associated with leprosy. “People believe that leprosy is a curse from God. However, leprosy is not only for the poor. It can attack anybody,” informs Sr. Lucia who stresses that leprosy is curable and does not spread through touch. Vimala Dermatological Centre has well qualified teams specialising in medicine, surgery, rehabilitation and paramedical activities. After treatment, the patients are adequately rehabilitated. They are taught how to carry out their daily activities even if their finger or toes or limbs are amputated. Most of the patients receive help for housing, employment, loans and training in tailoring, screen printing and motor mechanics. The centre provides counselling sessions for the families of those suffering from leprosy which includes education on leprosy. “In spite of this, some families want the patients to stay here forever and do not want to take them back home. Fear is not the key – treatment is,” adds Sr. Lucia. Sr. Lucia feels angry with the families of the leprosy patients who refuse to touch the person or even change the bandage or dressing. “Till the 1990s, nobody ever stepped into our compound with the fear of contracting leprosy. However, now people have started coming and spending time with our patients here but they still have to overcome that fear,” says Sr. Lucia. The children’s ward was started in order to give shelter to girls between the age of four – 15 years whose parents are suffering from leprosy and cannot afford to give them education and a decent living. 12-year old Lata (name changed to protect her identity) was in her first stage of leprosy when she came to Vimala Dermatological Centre. She was expelled from school due to her condition. After undergoing treatment at the centre for two years, she stays in the children’s ward and now goes to a regular school without traces of her past ailment. Sr. Bertilla and Sr. Lucia visit their hometown Italy once every four years. During their visit back home, they educate the people in Italy about leprosy and collect funds to run the hospital here as they do not receive any grant from the government. Former leprosy patients have been employed in Vimala Dermatological Centre to stitch clothes, bags and make Christmas decorations. These clothes, bags and decorations are taken to Italy where they are sold in order to generate funds. Once, a sort of an affluent family had come to KEM. They suspected their son to be suffering from leprosy, but dint want to go to a private practitioner. If diagnosed with leprosy by a pvt practitioner, the news would spread and bring them a ‘bad name’.In KEM, amidst the crowd, this family would go unnoticed.The issue is not that only poor should come to a government-run hospital, but the issue is the attitude of people that needs to change – towards human disease.